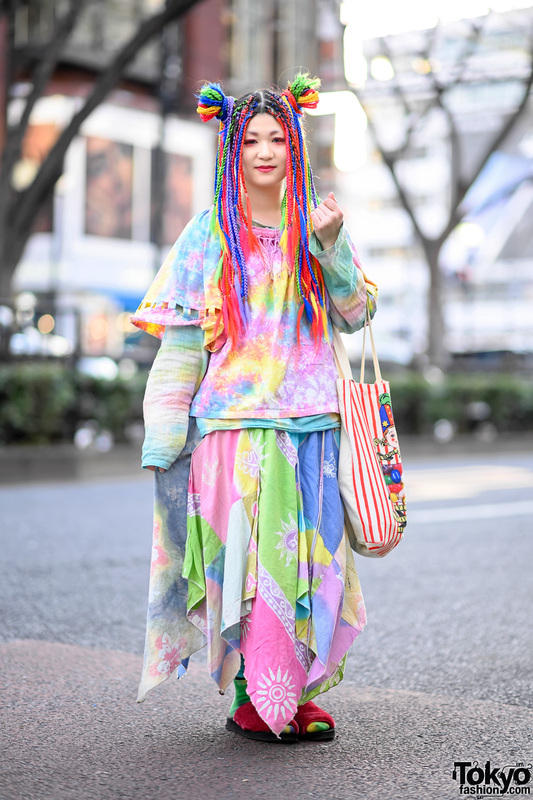 Taiki is a 19-year-old Japanese beauty school student who we met on the street in Harajuku. 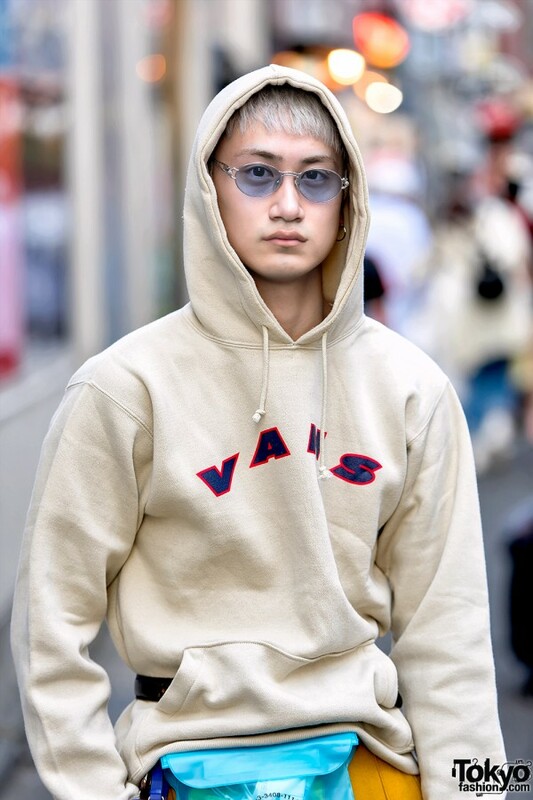 Taiki is wearing a Vans 1966 hoodie over a Vans t-shirt, pants by the Japanese brand NAKID by G.V.G.V., and Vans 2000 sneakers. 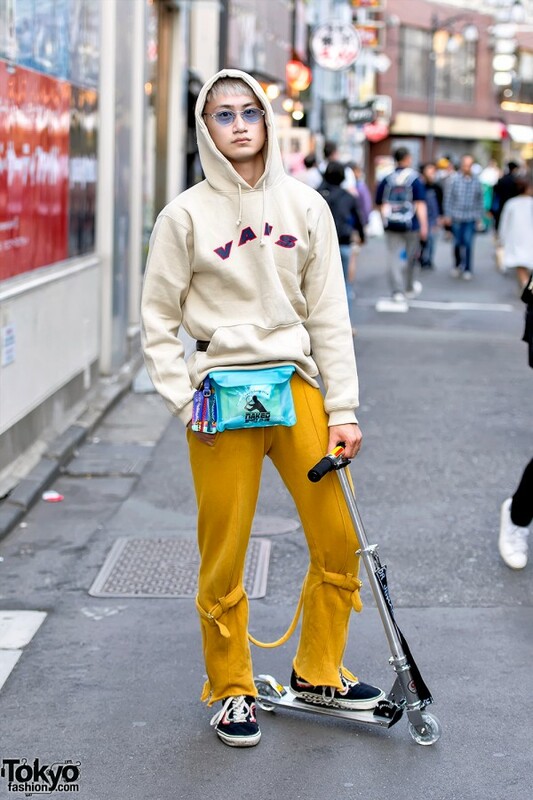 Accessories include his Razor scooter, sunglasses, and a waist pouch bag from Banny Store Harajuku (near where these photos were taken). Taiki’s favorite fashion brand is Vans and he likes the music of Silent Siren. 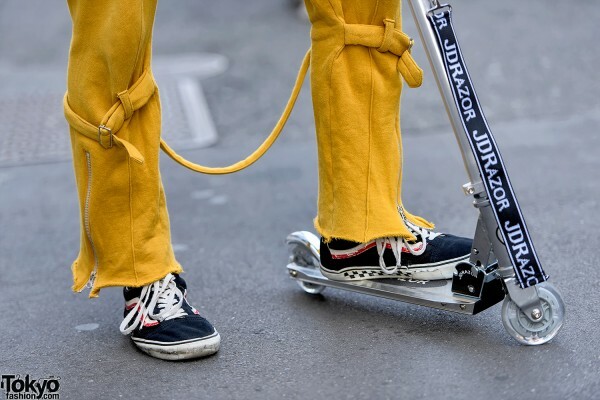 Follow him on Instagram and/or Twitter for more fashion pictures.